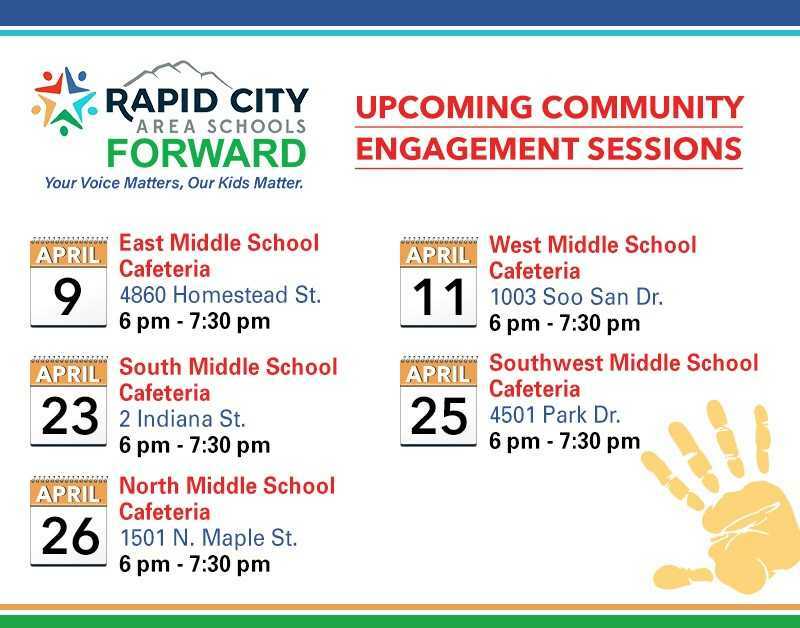 After a year of intense studying, brainstorming and thoughtful planning, the Rapid City Area Schools Facilities Task Force is ready to share their preliminary facilities plan with the community. More importantly, the Task Force and RCAS leaders are ready to hear what our community thinks of the plan. Your input is highly important and will impact the final recommendation to the Board of Education. 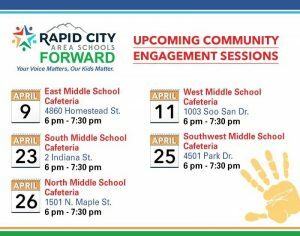 We hope you will join us for one of these input sessions and be a part of this important process going forward! Your Voice Matters! Our Kids Matter!